Leading online booking channels of South America CVC, MalaPronta.com and several others have integrated with eRevMax for seamless connectivity to its growing base of customers in the region. “Our integration with eRevMax will help our hotel partners update rates and inventory in our sales channels in real-time, enabling us to bring the best offers to our customers. This integration will also connect us to eRevMax’s Hotel Ecosystem for improving our global inventory supply,” said Cristiane Belotti, On-line Product Manager at CVC. Following this integration with eRevMax accommodation providers connected to these channels can update Availability, Rate & Inventory (ARI) updates and receive bookings generated by these channels directly into their property management system via eRevMax solutions. ResorTime, the leading timeshare condo rental reservation site, has integrated with eRevMax the leading provider of online distribution solutions, to further expand connectivity options available to its fast growing portfolio of resort and hotel partners. Accommodation providers connected with ResorTime will now be able to make immediate ARI (Availability, Rates and Inventory) updates on the channel through eRevMax’s RateTiger solution. Jeff Farr, Vice President, ResorTime, said “We continue to deploy new technologies that enable our guests and lodging partners to find each other, allowing us to deliver better rates and services to both segments. This integration helps our partners reduce their reaction time to constantly changing market demands.” ResorTime’s improved connectivity to eRevMax’s hotel customers is an opportunity to tap new partners thereby increasing supply and reach. One of the leading timeshare condo in U.S, ResorTime offers its services to more than 900 resorts located in top destinations throughout the U.S., Mexico, Caribbean, and Canada, making it one of the largest condominium rental services. With this new partnership with eRevMax ResorTime will be able to manage their ARI more effectively through the eRevMax Channel Ecosystem. eRevMax, the leading provider of electronic distribution, smart travel channel connectivity, market intelligence and revenue management solutions for the hospitality industry has launched RateTiger & Connect Analytics, a first of its kind of Business Intelligence solution for the hospitality industry. Hoteliers using Analytics will be able to get instant visibility into their business performance at anytime from anywhere. Designed in collaboration with revenue managers Analytics, offers benchmarking on important parameters obtain real-time production data, analyse gaps to give hoteliers a clear picture of their business. eRevMax, the leader in hotel online distribution and channel management solution has released an interesting infographic “Brazil 2014 – Capture the Craze” in time for the Games! The infographic based on several market studies sheds key insights on international tourists flow to Brazil and Hotel Price Index. The study shows that in 2012 around 5.7 million travellers visited Brazil which will double by the end of 2014. eRevMax suggests hoteliers to focus on their distribution portfolio with a balanced mix of global and regional channels as an estimated $25 billion expected to be spent by tourists. Brazil is witnessing an explosion of hotel inventory supply with over 173,000 new rooms being added before the event. With the online travel industry growing at over 34%, eRevMax believes there was never a better time for the Brazilian hotel industry to maximise revenues through intelligent online distribution. Dubai-based TBO Holidays has recently completed a two-way XML integration with eRevMax to boost online revenue to its fast growing portfolio of hotel partners. Accommodation providers will now be able to make real-time ARI (Availability, Rate & Inventory) updates and receive bookings generated on multiple channels through eRevMax’s online distribution platforms, RateTiger and Connect. This will significantly help TBOHolidays to expand its inventory base by becoming a meaningful demand partner for the eRevMax client base. The Middle East, particularly Dubai, Abu Dhabi, and Oman are becoming the ‘go to’ holiday destination for westerners due to the warm weather, luxury hotels and breathtaking skyscrapers. TBO Holidays had reported an ‘unprecedented triple digital growth’ in the past three years, which sparked the need for a more efficient and effective system. 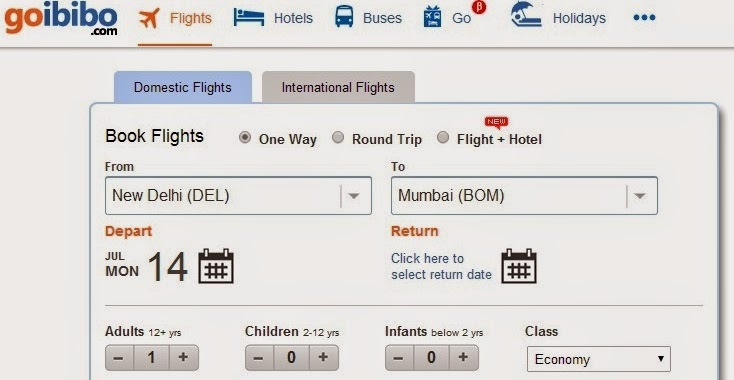 Commenting on the partnership Gaurav Bhatnagar, Managing Director of TBOHolidays said this integration will give them the ability to manage growing base of customers in the Middle East with superior technology provided by eRevMax.